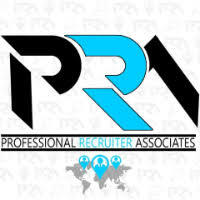 The Outside Sales Representative position is responsible for growing new business within the assigned territory and maintaining and growing existing accounts. Reps are expected to fully comply with all policies and procedures, and to do things the “company way”. Formulates a strategic territory plan with long & short term objectives. Recognize and effectively neutralize competitive situations. Use the company sales process & 7-step program. Target specific market sectors based on potential/fit. Identify account potential & fit for the company. Create account specific strategic plans. Maintain & maximize growth with existing accounts. Actively search for new opportunities. Implement standards programs with key accounts. Full awareness of the catalog family offerings. Work with approved, green light vendors. Choose product based on customer budget, application and competition. Identify & get to decision maker quickly. Develop and deliver customer focused presentations. Presentations focus on company advantages, not price. Display understanding of customer’s business & market trends. Accelerate sales cycle to successful close. Meet & exceeds sales goals. Meet & exceeds contribution goals. Meet and exceeds sales credit goals. Meet and exceeds personal error goals. Understand and maintain appropriate expense level. Understand and work within the company financial model. Possess articulate communication skills and describe product features to any audience.